NYC, pretending the 2nd Ammendment dosent’t exist since 1957. More like about 1911 (Sullivan Law). Did you catch the Statement at the top of the Permit that said it was NOT Valid in the City of New York. Since when is the Law in the city Superior to a State Law or Regulation? What a mess New York Is. I love the “writer and lecturer” BS! Typical liberal credentials. 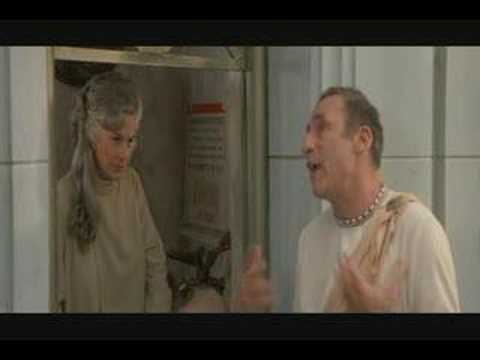 "Hic, Eleanor Roosevelt, you've got to be the ugliest woman that God ever created!" Not missing a beat, she countered "And you've got to be the most disgustingly drunken skunk I've ever encountered." "Yep," replied the drunk, "but tomorrow, I'll be sober." 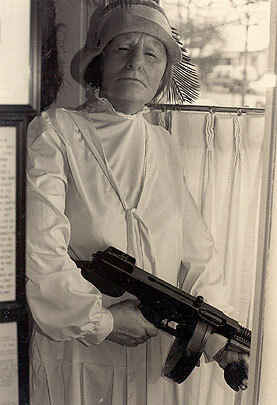 Look—thats grandma Robin Williams with the tommy gun. By golly, I believe you are right! I love the writer and lecturer BS! Typical liberal credentials. Oh that’s one of the best parts of the movie. You didn’t expect her to write “Ex-President’s Wife of Convenience” did you? Phil from Duck Dynasty spoke of the wonders of turpentine and how it rids stains. He then said he wanted to drop some on Hollyweird and New York City.